Birth date : Monday, July 23, 1979. Birth palce : Bhavnagar (Gujarat), India. 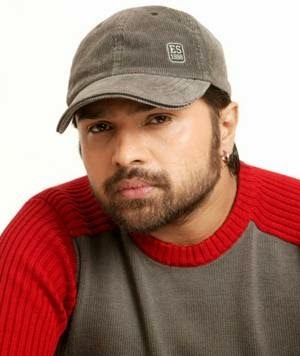 Birth Name : Himesh Reshammiya. Height : 5 feet 2 inches. Father's Name : Vipin Reshammiya. Mother's Name : Madhu Reshammiya. Occupation : Music director, singer, actor, television producer, lyricist, film producer, script writer, distributor. Songs : Aashiq Banaya Aapne, Aashiq Banaya Aapne, Aap Ki Kashish, Aashiq Banaya Aapne, Kajra Kajra Kajraare, Kajraare,Tera Surroor, Aap Kaa Surroor, Jhalak Dikhlaja, Aksar, Dard dilo ke kam ho jate etc. T.v. Shows : Hero Honda Sa Re Ga Ma Pa Challenge 2005 (Zee TV Channel), Hero Honda Sa Re Ga Ma Pa Challenge 2007 (Zee TV Channel), Hero Honda Sa Re Ga Ma Pa Challenge 2009 (Zee TV Channel), Hero Honda Sa Ra Ga Ma Pa Little Champs (Zee TV Channel), Comedy Circus Kaante Ki Takkar (Sony Channel), Aap Ki Adalat, Music Ka Maha Muqqabla (Star Plus Channel), Sur Kshetra (Colours Channel), Ram Milaayi Jodi (Zee TV Channel)- Special Appearance, Teen Bahuraaniyaan (Zee TV Channel)- Special Appearance. Famous Films : Aap Kaa Surroor, Radio, Kajraare, Radio, Damadamm, Khiladi 786, The Xposé etc. Awards : IIFA Award, Filmfare Award, Zee Cine Award, Screen Award, Nominated: Stardust Award, Nominated: Apsara Award etc. "Himesh Reshammiya" is a very wonderful personality throughout his film career he played a tremendous role in all fields such as comedian villan hero drama and also in all types of negative and positive roles. He is very honest to his work. Any of his tremendous films when comes in mind all make us happy sad and proud. All his movies makes him a very huge personality. He always did the full disambiguation with all his roles offered to him. He is also very successfull in both his social and his personal life. His name will remains in golden words always in bollywood history.